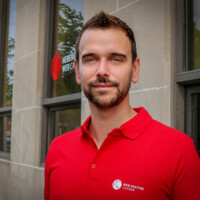 Improve your website’s Search Engine Optimization (SEO) and connect with Canadian shoppers with rankingCoach, Canada’s premium search marketing tool! Optimize your website for search engines like Google, Bing, and Yahoo! without breaking the bank. Hundreds of easy-to-follow tutorials guide you each step of the way. Google Places and Yelp are just some of the many local directories that potential clients are searching for your business. rankingCoach helps you get found wherever your customers are looking. Over 1 billion people are active on social networks. Benefit from the potential of Facebook and other social networks in order to strengthen your brand’s online image and build great customer relations. 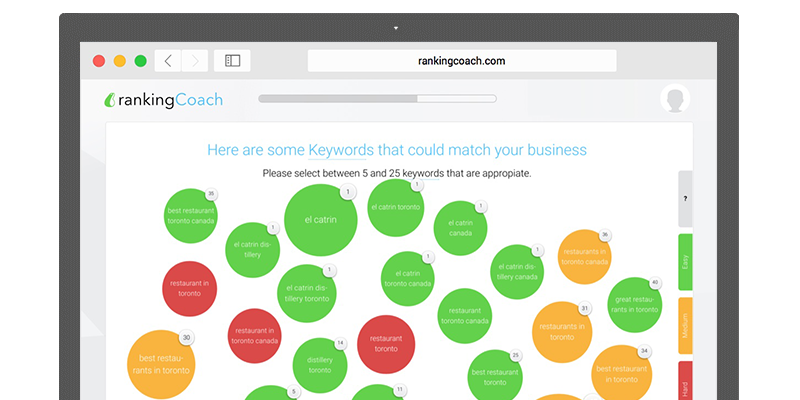 rankingCoach has a comprehensive keyword research algorithm that helps you find keywords that your customers will be able to find you with. The measure of success is the final testimony to all your hard work. In the reports you will see the improvements in your ranking, and see where perhaps further work is needed. 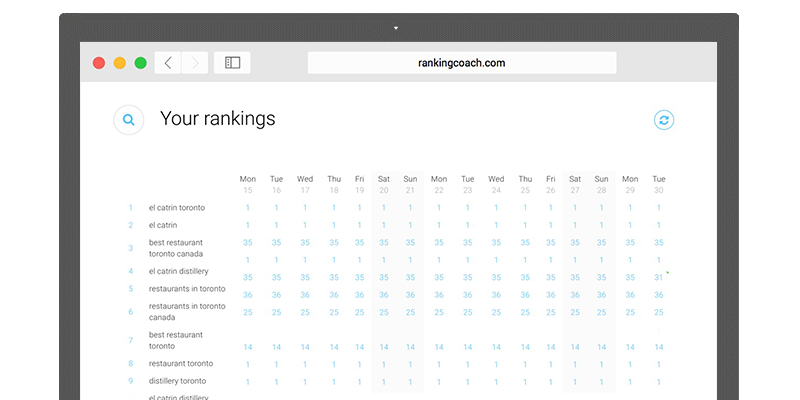 rankingCoach always has your daily ranking data for all of your keywords, in each of your selected locations. rankingCoach is an online SEO (or Search Engine Optimization, the "science" behind getting your website listed and ranked well in search results) platform that makes it easy to improve your website’s ranking in search engines like Google, and presence on social media like Facebook, without needing to be a marketing guru. rankingCoach helps you to understand search engine optimization by creating a customized action plan made of small and easy tasks for your website. Using the weekly result report, you can follow your website’s growth and improve its performance. New website owners that use rankingCoach regularly (even less than an hour per month!) can effectively double their website traffic without needing to hire expensive marketing agencies that will cost tens of thousands of dollar and often deliver meager results. As a matter of fact, expensive marketing agencies use rankingCoach do deliver great results on a daily basis! 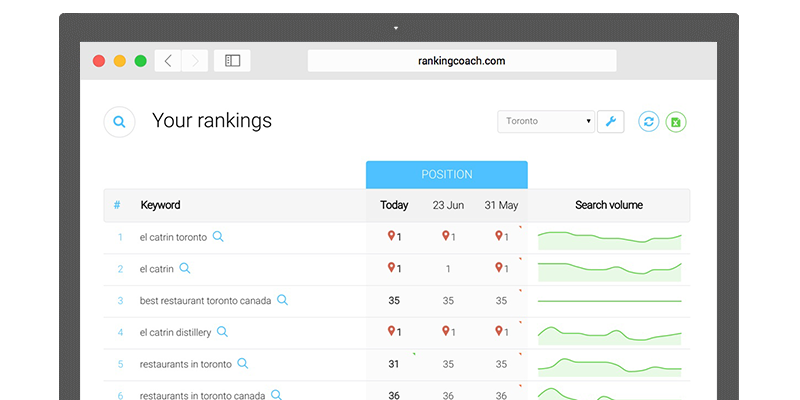 rankingCoach generates a customized, Canadian-centric SEO strategy for your website. Unlike other tools, you receive an action plan that is precisely tailored to your company and your SEO goals, and it focuses in on Canadian search engines and directories including Google and Yellow Pages. There are over also over 1000 video tutorials to help guide you along the way. How is my action plan customized for my website? Using your website, search terms, industry and coverage data, rankingCoach’s proprietary algorithm determines a SEO strategy that is precisely tailored to your company. This way you receive tasks and tips that exactly match your goals: from the best performing search terms to the best link givers in your industry. Do I have to be an SEO expert or programmer or do I have to be able to use HTML to use rankingCoach? Not at all! rankingCoach gradually gives you all of the know-how you need to optimize your website and the individual tasks are so easy anyone can do them without knowing any programming, fancy SEO or website black-magic! If you get stuck, our 24/7 support team is here to lend a helping hand! How much does rankingCoach cost? Is it possible to cancel rankingCoach anytime? After the initial trial, rankingCoach fees vary depending on your preferred billing cycle, as follows: C$9.99/month if prepaid 3 years (C$359.64), C$11.99/month if prepaid 2 years (C$287.76), C$13.99/month if prepaid yearly (C$167.88), or C$14.99/month if prepaid 3 months (C$44.97). You’re free to cancel anytime, and there are no obligations to renew.